Populist clamor and recent Supreme Court decisions have renewed calls for increased regulation of corporate money in politics. 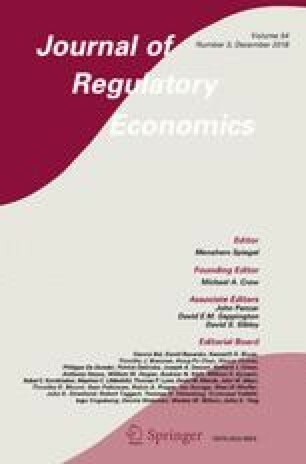 Few empirical estimates exist, however, on the implications of existing rules on firms’ political spending. Exploiting within firm-cycle cross-candidate variation and across firm-cycle variation, we demonstrate that the regulation of PAC campaign contributions generates large spillovers into other corporate political expenditures such as lobbying. Using both high dimensional fixed effects and regression discontinuity designs, we demonstrate that firms constrained by campaign contribution limits spend between $549,000 and $1.6M more on lobbying per election cycle, an amount that is more than 100 times the campaign contribution limit. These results demonstrate that, similar to regulations in other domains of the economy, constraining specific corporate political activities often yields unintended effects. This paper has benefited from comments and suggestions from John de Figueredo, Kishore Gawande, Steve Haber, Guy Holburn, Isaac Holloway, Chad Kendall, Margaret Loudermilk, Romel Mostafa, Davin Raiha and Rob van Houwleing. Earlier versions of this paper have been presented at the Canadian Economic Association Annual Meetings 2015, the 2015 University of Michigan Conference on Special Interests in US Politics, the Canadian Law and Economics Meetings 2015, the Southern Political Science Association Meetings 2016, the University of Toronto, Brock University and the the University of Chicago’s How Incomplete is the Theory of the Firm 2017. The online version of this article ( https://doi.org/10.1007/s11149-018-9369-7) contains supplementary material, which is available to authorized users. Goodridge, J., & Jantz, C. (2014). Fiduciary responsibility in corporate political spending: Governance, transparency and accountability. Available at https://northstarasset.com/wp-content/uploads/2014/03. Accessed April 18, 2015. Northstar Asset Management, A. (2012). Shareholder rebuttal to the procter & gamble company (p&g) opposition statement regarding say on political contributions proposal. Available at www.pginvestor.com/Cache/16776020.pdfIID=4004124&FID=16776020&O=3&OSID=9 and via EDGAR. Accessed April 18, 2015. Yager, J. (2012). Poll: Majority wants corporate money out of politics. Available at https://thehill.com/blogs/ballot-box/campaign-ads/264087-poll-majority-want-corporate-money-out-of-politics. Accessed Mar 27, 2015.